Whether you trade from home full time, a few days a week or just a handful of hours in your spare time, you'll you know the importance of having a home office that not only meets your functional needs but also gets you inspired, motivated and ready to work. When it comes to super stylish interiors need we look any further than the office setup in Mad Men? We love the Don Draper look - with stand-out mid century furniture, wooden desks and of course, a fully loaded drinks trolley, it doesn’t really get much better than that. So to add a little 60’s class and style to your home office, opt for raw natural materials such as wooden desks, leather chairs and cowhide rugs. Dark coloured walls work really well for this look and we promise it won’t make your office look gloomy - in actual fact, dark walls create a cosy, business-like atmosphere that will help you get down to work. Then to add a little personality and Mad Men class; opt for a pop of colour and a drinks trolley. We particularly like a colourful cocktail chair / mid-century chair along with a drinks trolley filled with your liquor of choice, a champagne bucket and stylish glasses. If fast-paced living suits you, then a city-style office is the ideal choice. Designed to function around your busy trader lifestyle, think minimalism with a twist of modern luxury. Choose a large functional desk in a sleek black or industrial metal. 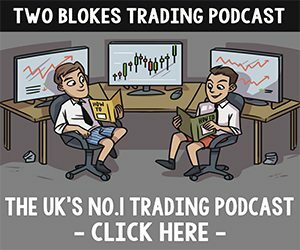 The more space the better as you’ll want space for your trading screens as well as space to plan, think and even workout (see our trader workouts here). Pair with a large swivel chair and a couple of storage cabinets and voila - the functional pieces sorted. Then for the fun part …. accessorising! Go for giant artwork that really gets you inspired and hang or lean it against the wall. If tech is your thing, then place a few techy gadgets on side tables and your desk and then light the room with geometric floor lamps and accent desk lamps for ultimate functionality. Finally, don’t forget greenery! Just because you are in the city or you prefer the city style doesn’t mean that you shouldn’t bring the outdoors in. If you’re a serial plant-killer like us, the go for faux plants which add a little greenery to your home office, without the maintenance! Faux or real, plants breathe life and vitality into a room that will give you a little uplift whilst you are hard at work. If you favour laid-back living with a whole lot of style mixed in then a Modern Industrial Office is for you. Industrial offices ooze smart, refined sophistication and what’s more the look is very easy to achieve. To get the look start with the walls. We are huge fans of stripped back brick walls which are an epic backdrop for your home office. If this is not an option then there are so many brick wallpapers out there that look so authentic and in our opinion it the next best thing. Large industrial ceiling lights and lighting with exposed bulbs is also an important element of the industrial look. Source large metal shades and hang them over your work space and steer clear of heavy curtains and blinds which block natural light. Natural materials such as wood and leathers look great when paired with industrial lighting and is very texturally pleasing on the eye. Finally, curate and refine your favourite pieces. Faux skulls, cowhide stools and rugs, wooden surfaces, tin tile ceilings and your favourite vintage pieces will all enhance and complement the industrial look.